In the days leading up to the vote, the ballot measure has drawn intense opposition from business and agricultural interests who argue that the measure could unleash a torrent of frivolous lawsuits. But those who fought to get the question on Tuesday’s special election ballot are determined to see it through, galvanized by their previous experience of seeing the city’s water supply declared too toxic to drink, or even touch. For Markie Miller, August 2, 2014, started off like any other Saturday. She got up, showered, and made coffee. But it wasn’t until she turned on the news that she learned city officials, in the early hours of the morning, had issued an alert warning 400,000 residents in and around Toledo not to use their tap water. "Luckily, I didn’t drink the coffee," Miller said. The warning, however, went further: residents were also advised to avoid bathing, brushing their teeth, and washing clothes. 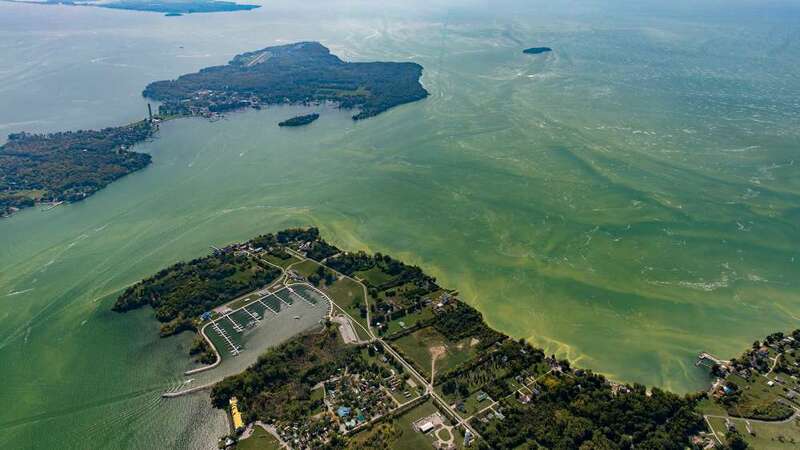 Officials said that giant floating sheets of algae in Lake Erie had produced dangerously high levels of microcystin, a toxin that can cause rashes, vomiting, and even liver damage. Boiling the water, they said, would not make the water safe; it would only concentrate the toxic chemical. Within hours, bottled water was in scarce supply. The Toledo Blade reported that local residents were driving to Michigan, Indiana, and as far away as Delaware to buy bottled water because local stores had been cleaned out. After three days, the water was once again declared safe. But the Toledo Water Crisis, as it's now called, left many Toledoans, including Miller, with a lingering fear. "What’s in my water?” Miller said. “I don’t know if I can trust this now." To avoid a repeat, the city’s in the process of a $500 million upgrade to its water treatment plant. And yet, Miller said that she worries because algal blooms continue to return each summer. 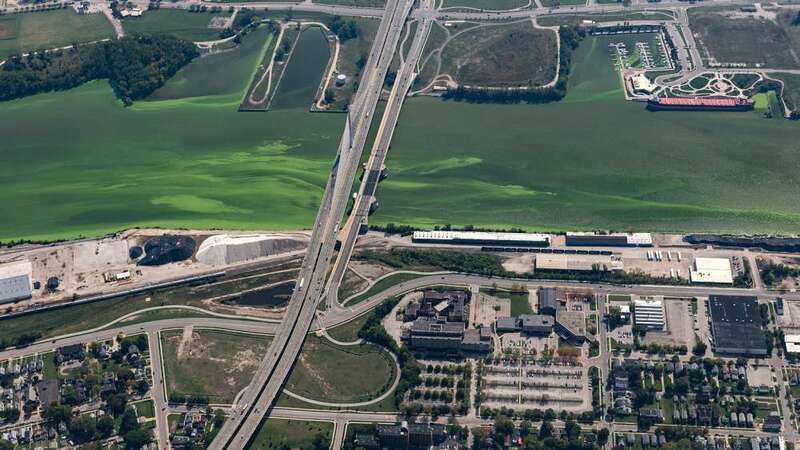 According to the Ohio EPA, these blooms are fed by phosphorus, largely from agricultural runoff from farms and feedlots in the Lake Erie watershed, though other sources such as sewage runoff and household detergents also contribute to phosphorus pollution. Solution to Pollution Or Economic Threat? 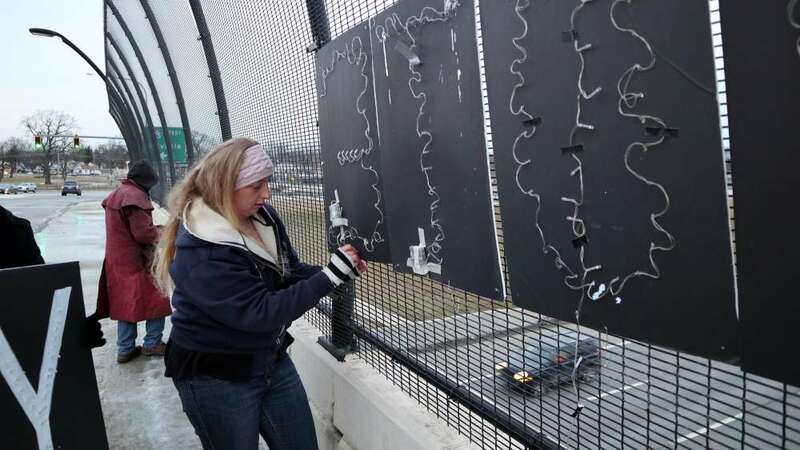 After the crisis, a community group called Toledoans for Safe Water sprang up. Later on, that group teamed up with a Pennsylvania nonprofit, the Community Environmental Legal Defense Fund (CELDF), to draft a Lake Erie Bill of Rights (LEBOR) and get the proposal on Tuesday’s ballot. The idea is to fight pollution through deterrence, said Miller who, over the past couple of years, has volunteered with Toledoans for Safe Water—canvassing, passing out yard signs, and speaking to the media to generate support for the measure. “We can't keep using the same laws … and expect a different outcome,” Miller said. While the idea may sound strange to some, similar “rights of nature” ordinances have passed in cities such as Pittsburgh and Santa Monica, so opponents are taking LEBOR seriously. Earlier this month, a PAC called Toledo Jobs and Growth Coalition ran radio ads, complete with ominous music, saying that LEBOR was being supported by “out of state extremists,” and that the law, if passed, would “make it harder for Toledo families to make ends meet.” Reached for comment, the Treasurer for Toledo Jobs and Growth Coalition, Brandon Lynaugh, declined to say who or what entities were funding the group. The Ohio Farm Bureau (OFB), a large agricultural lobbying group, has also been campaigning against LEBOR. Yvonne Lesicko, VP of Public Policy said that OFB's members include both small- and large-scale agricultural operations, and that hanging the threat of lawsuits over the heads of farmers and other businesses is “counterproductive” to the goal of improving the health of Lake Erie. “We have businesses that every day are trying to meet the bottom line,” Lesicko said. “Now, in addition to everything else that's on their plate, they're thinking to themselves, ‘I could be sued tomorrow.’” Lesicko also argued that LEBOR could hurt Toledo’s economy by driving away businesses that want to avoid operating in a “litigious” environment. Michael Boyert, who is on the Farm Bureau’s board of trustees, agrees. On top of running a greenhouse business near his home in Medina, Boyert and his sons also grow soybeans and corn, and run a small beef and show cattle breeding operation. As someone who makes a living off the land, he said he understands the concern about Lake Erie. In recent years, Boyert said many farmers have taken steps to reduce runoff, such as cutting down on fertilizer, planting cover crops, and storing animal waste. 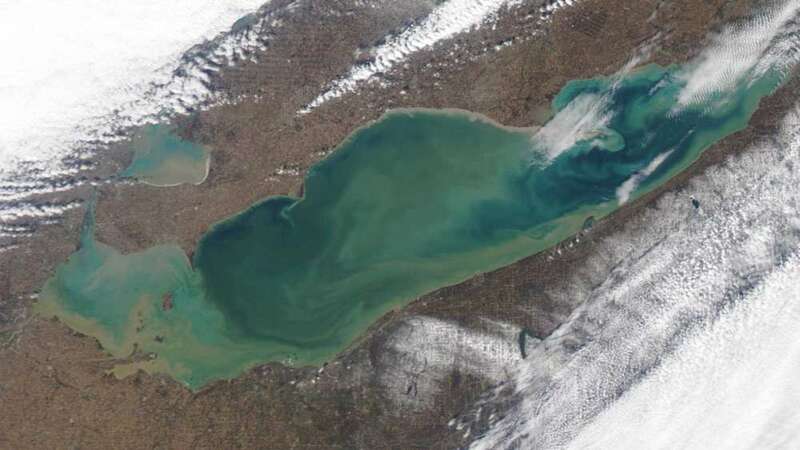 Indeed, 99 percent of cropland in the Western Lake Erie Basin uses at least one conservation practice aimed at reducing nutrient runoff, according to the U.S. Department of Agriculture. Even so, concentrated animal feeding operations (or CAFOs) are another major source of manure, and thus phosphorus pollution, that flows into Lake Erie. Joe Logan, President of the Ohio Farmers Union (OFU), said he’s not so worried that LEBOR will affect him. “If farmers are doing things right and taking care of livestock, acreage, and crops in a responsible manner, they don't have anything to worry about,” he said. According to Logan, OFU's membership is made up of small and medium-sized family farms. In the meantime, the perennial algal blooms have continued. In the summers of 2015 and 2017, algal blooms in Western Lake Erie were more severe than they were the summer of the Toledo Water Crisis. “I’m sympathetic to the concerns that prompt an initiative like this,” said Jonathan Adler, a professor who teaches environmental and administrative law at Case Western Reserve University School of Law. However, he added, “I don't think that a particular city or a particular group of people asserting that they get to be the Lorax for this particular place really accomplishes that.” Key parts of the proposal conflict with state and federal law, he said, so it's probably unenforceable. If they get their wish, and the ordinance passes, opponents may challenge its validity in court. In such a scenario, critics say the city of Toledo may have to defend LEBOR at taxpayer expense. The director of the Toledo law department did not respond to a request for comment for this story. However, Tish O’Dell, the Ohio organizer for the Community Environmental Legal Defense Fund, said that if the city is sued, CELDF will offer legal support. That’s what happened to Grant Township, Pa., after it worked with CELDF to pass a similar Community Bill of Rights aimed at deterring natural gas drilling in the area. Pennsylvania General Energy Company (PGE) sued Grant Township, arguing that the law was unconstitutional. PGE eventually won that case. And according to federal district court records, the company is currently asking the judge to award it $100,000 in attorneys’ fees. Attorneys from CELDF argue that such an award could “bankrupt” Grant Township. For her part, Miller acknowledged that a lengthy court battle could ultimately end in LEBOR’s defeat. “I might not be the one who sees this go through,” she said. Correction: An earlier version of this article incorrectly stated that Lake Erie is the fourth largest lake in North America. It is the fourth largest in the United States. The audio has been updated accordingly. Update: The descriptions for the Ohio Farm Bureau and the Ohio Farmers Union have been updated to describe their membership.